Beyond Tel Aviv the options for sightseeing day trips are limitless and only certain borders can stop you! Add the fact that short distances is one of Israel’s conveniences for travelers, there is no excuse not to leave this gay mecca for a day or two. One of these getaway options is Rosh HaNikra, located on the border with Lebanon. It is only 130 Km from Tel Aviv which can be covered in just under a two-hour drive. After a day trip to the northern border, one can be back in time to enjoy the great nightlife in Israel’s most famous and vibrant gay hotspot. 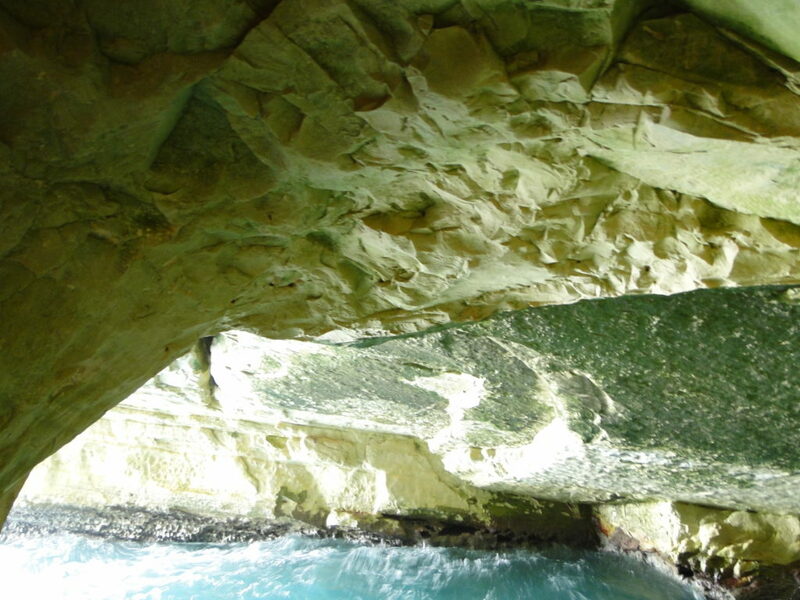 Sitting on the border with Lebanon on the western Galilee by the Mediterranean, Rosh HaNikra is best known for the grottoes, although its history reveals that there is a lot more to it. Its name in Hebrew literally means “head of the grottoes”. Additionally, this soft chalk rocks geological site of cavernous tunnels formed by the forces of the sea, has great historical, strategic trade and defense importance. 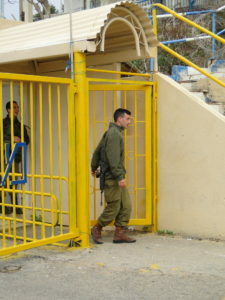 The border crossing is today closed to Israeli and Lebanese civilians, but that was not always the case. 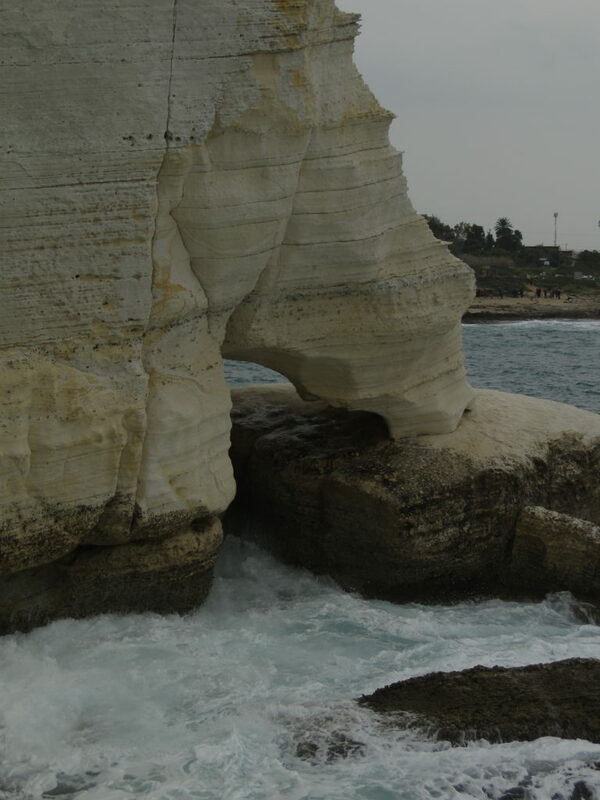 Yet, nowadays, standing close enough to the border crossing the grottoes of Rosh HaNikra is as close to crossing into Lebanon as one can get. Rosh HaNikra functioned as a passage for trade caravans and armies between Lebanon, Syria, Israel, Egypt, and Africa. Railway tunnels were blasted through nearby rocks by the South African forces during World War II, allowing trains to run through the Cairo-Istanbul line. In 1946, the Haganah spared the bridge during its operation known as the Night of the Bridges. However, in February of 1948 the 21st Battalion of the British army destroyed the bridge to prevent Lebanese shipment of arms to the Arab forces fighting against the UN Partition Plan. Later on the tunnels were sealed. On the Lebanese side, the railway have been dismantled almost completely and the Israeli Coastal Railway ends near Nahariya to the south of Rosh HaNikra. 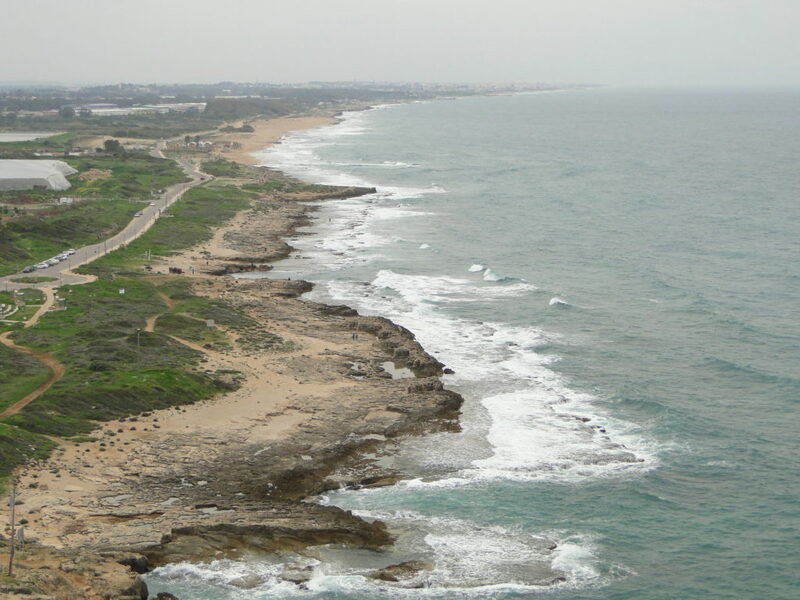 In 1949, beyond Tel Aviv, Jerusalem and modern Israel’s young political centers, Rosh Hanikra was the place where Israeli and Lebanese officials met and reached an armistice agreement that brought to an end the Lebanese-Israeli conflict over the 1948 War of Independence of Israel. Today, the border crossing at Rosh HaNikra is only used by the UNIFIL (United Nations Interim Forces in Lebanon). However, not until long ago, before the insurgency of Hezbollah in southern Lebanon and its constant attempts to attack northern Israel, thousands of Lebanese used to cross into Israel to work mainly in agriculture. Locals in the region attest that the current situation hurts both sides as Israel’s agricultural industry needs workers from Lebanon and Lebanese workers have lost one of their source of income. Despite the concerns over eventual attacks coming from southern Lebanon, the area is relatively calm and of astounding beauty. Standing at Rosh HaNikra one can enjoy the view of Israel looking south at the beach along the Mediterranean coast. At the same, looking north on the hill, it is quite surreal to see the dirt road that separates the two countries and that is only used by boarder patrolling and UN personnel in the Blue Line created in May 2000 after Israel withdrew from southern Lebanon. 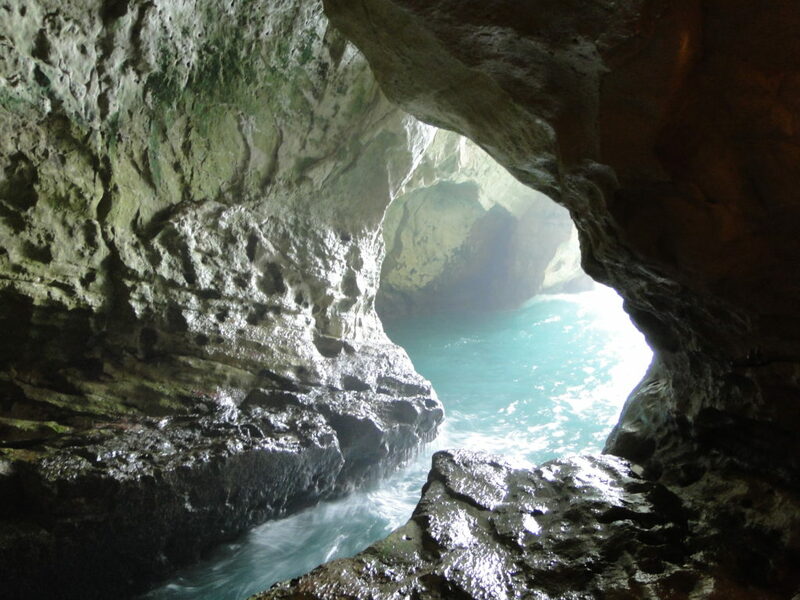 Nonetheless, Rosh HaNikra is a great destination for a day trip or to be visited as part of a multi-days itinerary in the northwestern region of the Galilee.. 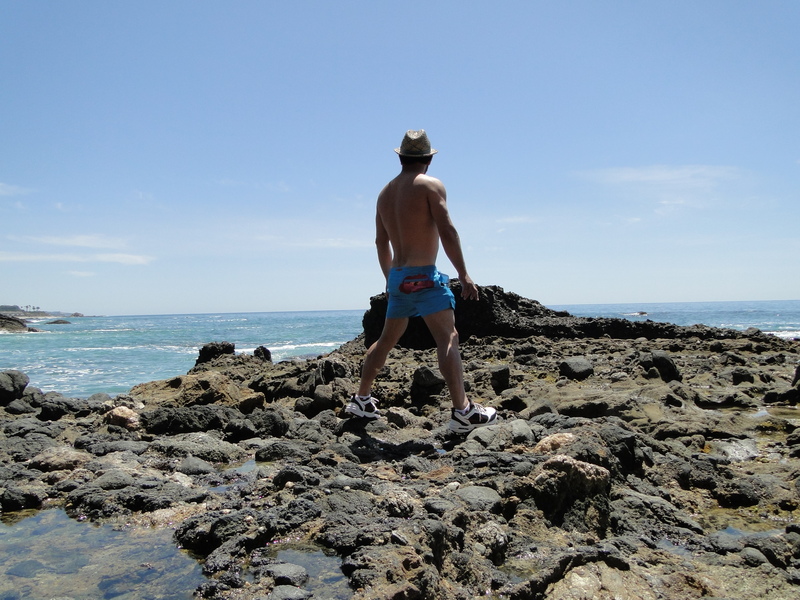 Visiting Rosh HaNikra in March had pros and cons. The wintry conditions with high winds and a bit chilly makes it a bit unconvertible, mainly on top the of the cliff e descending to the grottoes in the cable car. On the other hand, it is a lot less crowded than in late Spring and Summer. In any case, if it is just a day scape beyond Tel Aviv, it is worthwhile to take the trip north. And by the end of the day back in Tel Aviv the options abound for a great evening out to enjoy this city that has been hailed as one of the greatest gay hotspot and destination in the world. Sitting on the shores of the Mediterranean at the northern extremity of Haifa Bay, Old Acre is one of the world’s oldest continuously inhabited cities. It is its location that helped it to remain populated since the middle Bronze Age, since 4,000 years ago. Today, Old Acre’s population is nearing 50,000 people who make it a diverse community. Christians, Druses, Jews, Muslims, and the Baha’is coexist in this city that is the holiest in the Baha’i faith. Anyone visiting Old Acre and Haifa will notice that coexistence and cultural diversity is something that both cities share in common. Just before getting to Old Acre, despite the overcast skies, I made a brief stop in Haifa overlooking the Baha’i Gardens. 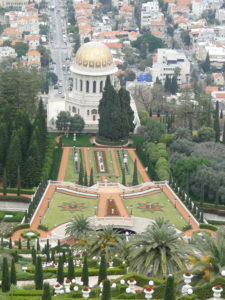 One of the most visited sites in the Middle East, the Baha’i Gardens in Haifa and Acre are breathtaking. Geometric shapes, a long staircase with nineteen terraces, and the golden domed Shrine of the Bab, are stunning features of the Baha’i Gardens in Haifa. The geometrical composition with natural elements and shapes create an ambiance of pure beauty, peace, and tranquility. Old Acre, or Akko is also known as Akka, and it is referenced to in Phoenician and biblical texts with slight variations of the word. 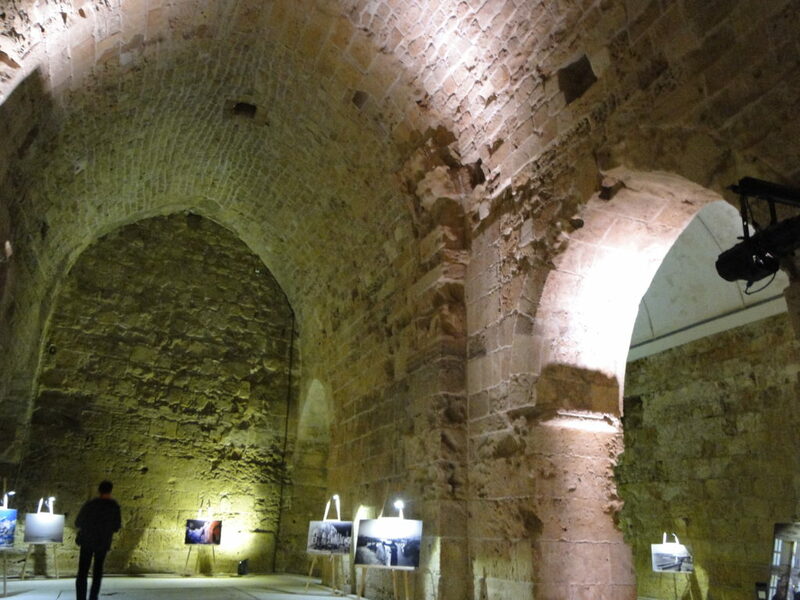 More importantly, throughout its long existence and its history, Akko was conquered and dominated by different armies that contributed to shaping its cultural heritage. It was, however, the Ottoman Turkish empire that perhaps left a visible mark in the city. Certainly, it can be seen in the skyline of the city and its minarets. 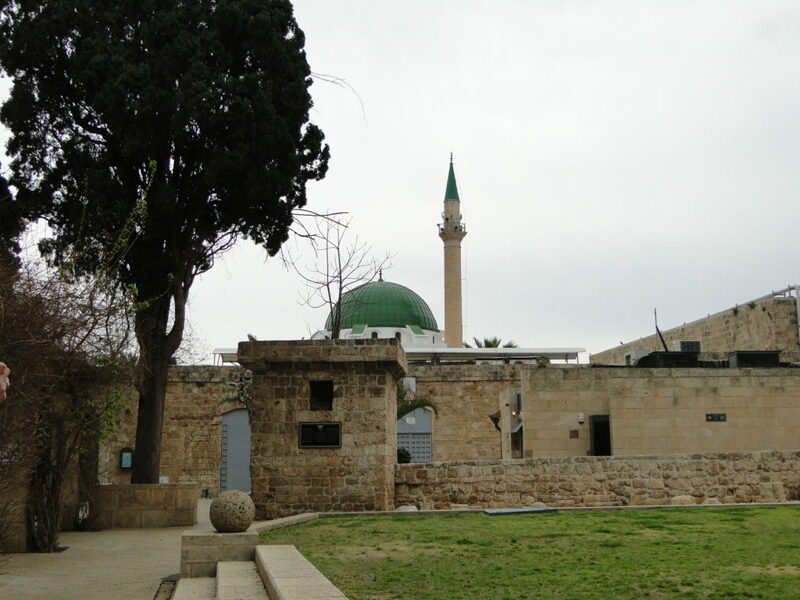 Once called the Mosque of Lights, the Al-Jazzar Mosque, known in Arabic as Jama El-Basha (the Great Pasha’s Mosque), is among the largest mosques built by the Turkish empire in Israel. Completed in 1781, in the early years of the rule of Pasha Al-Jazzar, it was built in the Ottoman Turkish style and it is the largest mosque outside of Jerusalem. It is the third largest mosque in Israel and the Palestinian territories after Al-Aqsa in Jerusalem and the Ibrahim Mosque (Tomb of the Patriarchs) in Hebron. Ahmad Pasha Al-Jazzar was nicknamed “the Butcher” thanks to his cruelty. As the governor of the provinces of Sidon and Damascus, Al-Jazzar was based in Akko where he left his mark stamped by three things he was famous for. Not only he was renowned by his use of cruel force, but by his impressive public works and for defeating Napoleon during the Siege of Acre in 1799. Along with his adopted son and successor Suleyman, Al-Jazzar’s resting place is at the small twin-domed building at the base of the minaret of the Mosque of Lights renamed Al-Jazzar Mosque in his honor. 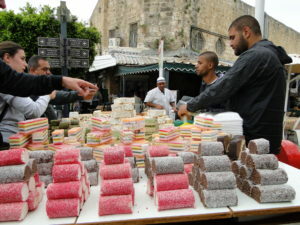 The region of Haifa and Acre is known for its diverse population peaceful coexistence. 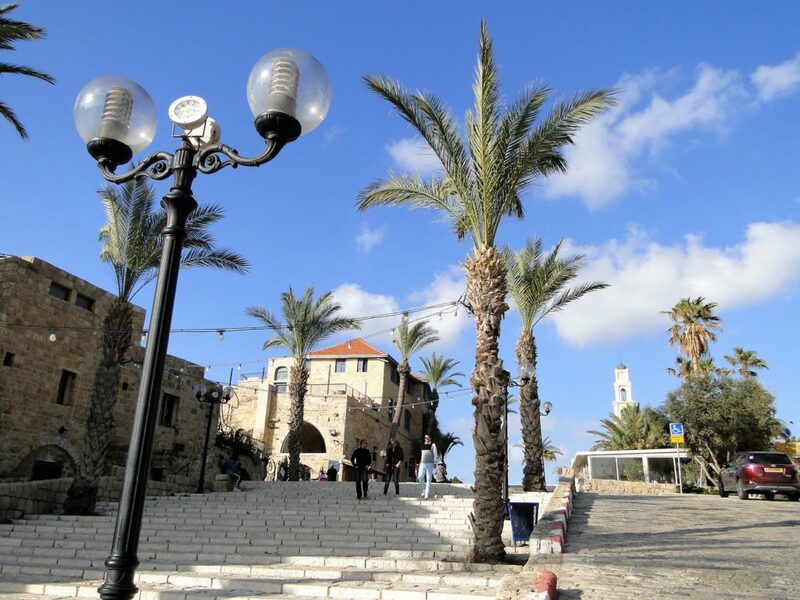 Built on the slopes of Mount Carmel, which according to tradition was the home of prophet Elijah, Haifa is a destination for Christian, Jews, and Muslim pilgrims who venerate the prophet. Moreover, the fact that the City of Peaceful Coexistence is home to the Baha’i who are persecuted in most countries of the Middle East speaks volume about its tolerant society. Interfaith initiatives along with arts and sports events that encourage peaceful coexistence, have earned Haifa and its neighboring Acre and the surrounding region the reputation of all working together to foster and maintain peace. And it does not take long for a visitor to notice the ‘relaxed’ atmosphere on the streets of Haifa and Old Acre. Walking on streets, cafes, the market, and street vendors interactions with locals and tourists alike immediately gives a sense of calmness and stability. Years ago I visited Haifa for the first time, and after my recent visit to Acre, I have added a longer visit to Haifa to my bucket list. After visiting Al-Jazzar Mosque, walking through the souk and buying more than I needed sweets from a street vendor and savoring a large cup of freshly squeezed pomegranate juice, it was now time to visit the Knights Hall. Visiting the Knights’ Hall complex or the Citadel is quite moving and exposes the magnificence of Old Acre’s two golden ages: the first in the thirteenth century, and the second in the eighteenth and nineteenth centuries. Excavations in the 1950’s and 1960’s exposed remains from the Hellenistic Period (300-63 BC), from the Early Arab Period (638-1099 AD), from the Crusaders Period (1104-1291 AD), and most extensively from the thirteenth century. Today tourists enjoy the site thanks to the extensive restoration work that took place in the 1990’s. 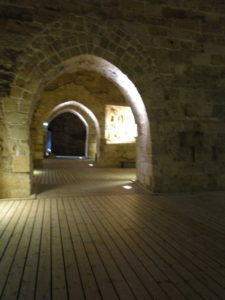 The Knights’ Hall, which served as the Knights Hospitaller Compound, is a testament to the Crusaders Period in Old Acre. 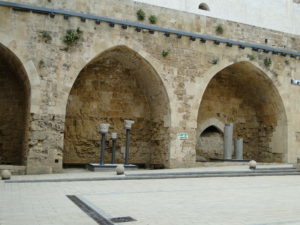 The capital of the Crusader Kingdom of Jerusalem, Old Acre saw the destruction of the Crusaders compound during the Mamluk period (1291-1517 AD). In the late Ottoman Period (1750-1918 AD), the citadel was built on the ruins of the Crusaders’ fortress structures as part of the city’s defense. Later on, during the British Mandate Period (1918-1948 AD), serving as the main prison in northern Israel, the site was used to hold the Jewish Zionist resistance activists prisoners. Jerusalem intrigues and fascinates! It does not matter what are your interests and reasons to visit Jerusalem. This at times tumultuous city has something for everyone. Undoubtedly, the first thing that comes to mind is religion. Home to the three major religions in the world, Christians, Jews, and Muslims have shared and fought for Jerusalem for the most part of the past two thousand years. However, its history and the tales of conflicts, destructions, and rebuilding predates the birth of Christianity and Islam. However, if religion is not your focus, no worries! Jerusalem’s political history is a magnet for those who are interested in international affairs. You don’t have to be a historian or a scholar to be attracted to Jerusalem. Simply speaking, if you are a ‘history buff’ or just love history and current affairs for the sake of curiosity, Jerusalem must be in your short bucket list of places to visit. One thing is to have opinions based on the news media; the other thing is to walk the alleyways of the Old City observing the dynamics of its inhabitants daily lives, and have a conversation with locals while sipping coffee or tea. Thus, talking to locals in this often portrayed as a dangerous city to visit, can change one’s perspective about its reality. Although one cannot overlook nor disregard the fact that occasional conflicts do happen. Despite the acts of violence that are committed sporadically, it is the fact that the vast majority of Muslims, Jews, and Christians live side-by-side in Jerusalem that reflects its daily reality. More importantly, for the casual tourist, Jerusalem is a city where you can spend a week or so and enjoy days filled with activities. It is a city that one can explore without the help of a tour guide and enjoy the freedom of time to spend at will. I find it particularly exciting stopping at shops and cafes chatting with locals. Shopkeepers are always willing to offer their own perspective on their daily realities. Just do not expect more than two people to agree on anything here. And remember! No one is in a rush here! It seems that everyone is accustomed to waiting. Some people are waiting for the first coming of the Messiah; others are waiting for His return. And there are those who are just waiting to go home at the end of the day to be with their families. Some of its inhabitants wait for the call to pray; others wait for enduring peace. And there are those waiting for the next waive of shoppers dropped by another tour bus. Additionally, if one day is all you have in your tight schedule because in one week in the country you want to hit all the highlights of Israel, then I recommend joining a tour. A day tour will take you from one place to another maximizing the use of your time and providing with historic information and facts that will leave you wishing you had more time to spend in the city. 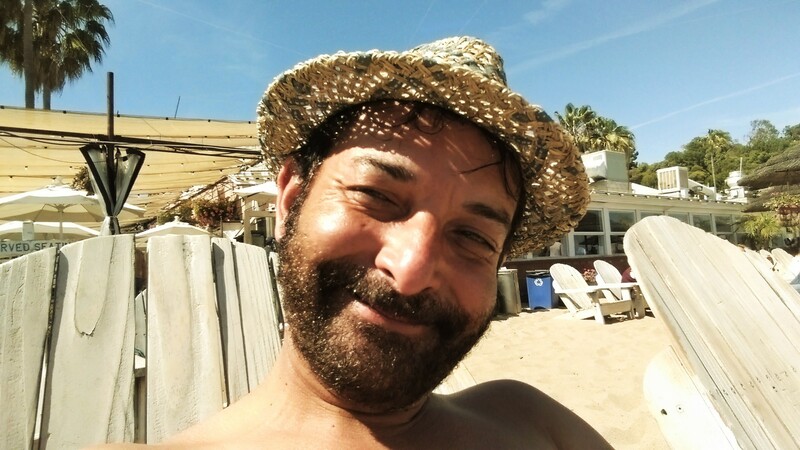 So, in my last visit to Israel I decided to make Tel Aviv my home base and go on day trips around the country, as I wanted to spend more time having fun and relaxing. So for my one day visit to East Jerusalem, the Old City, I chose to join a tour. I found it very convenient knowing that I would be picked up at the hotel in Tel Aviv and be dropped off at its door back in the evening. I must confess that I was a little hesitant because I was not so sure if that was the right decision. Nevertheless, a successful tour depends on the particular tour guide and sometimes on the other travelers who are in your group. My group was a small one with only eight people. I chose to travel with Bein Harim Tours which provides day tours throughout Israel and some longer tours of two, three, four or more days. Bein Harim buses and vans pick up passengers at different hotels in Tel Aviv and bring them to a ‘meeting point’. At the meeting point passengers transfer to buses and vans heading to different cities and attractions in Israel. Some of them to Jordan. Furthermore, each tour description offers recommendations about what to bring, how to dress and what to expect. I found them accurate and helpful on all day trips I went on to do with them. My hotel was only five minutes from the meeting point, so I was the last one picked up that morning. From the start, I liked the tour guide, Amir, who also happened to be the driver. What a fascinating story-teller! A linguist and a historian with a captivating sense of humor. In fact, just before arriving in Jerusalem Amir made a stop for coffee. Surprisingly, a planned stop at a place that is all about Elvis Presley! Really? Was this a joke? My first thought was that I came all the way from California and my first stop on a tour of Jerusalem is at a diner that looks more like Graceland! Nonetheless, it was there surrounded by Elvis’ memorabilia that I started to talk to another passenger whose home is in New Jersey. Consequently, Mike became my travel buddy for the day. Soon I found out that he was an airline pilot who was grounded in Tel Aviv for a couple of days. His flight like many others was cancelled because of the winter blizzard in the US northeastern region. As it is his first time visiting Jerusalem, it was exciting to see the reactions of a first time visitor and hear his impressions. 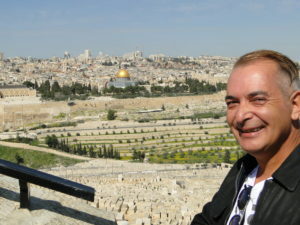 He was marveled to find out that ‘it is safe’ to visit Jerusalem and remarked that he had to stop watching television. 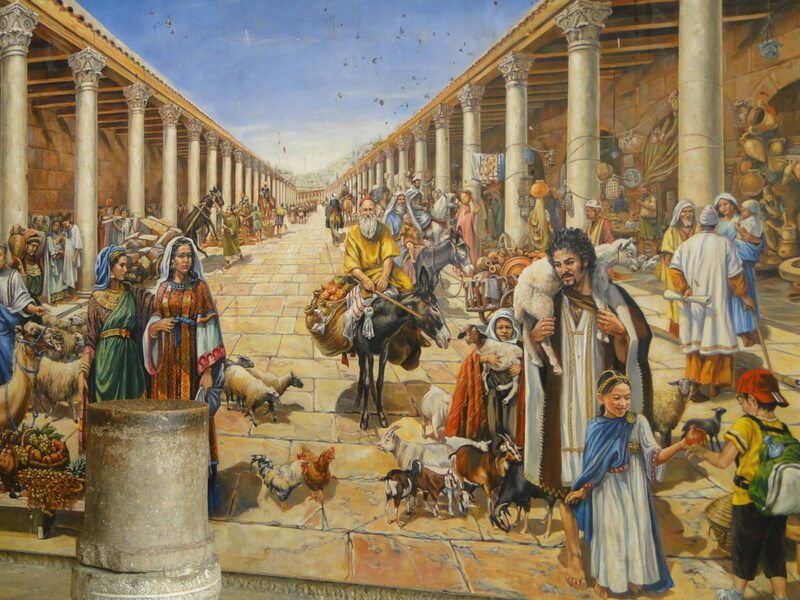 Mike now felt comfortable to bring his wife and his two little children to visit Jerusalem. Next we stopped at a viewpoint at the Mount of Olives. Our was the first photo-op of the day! 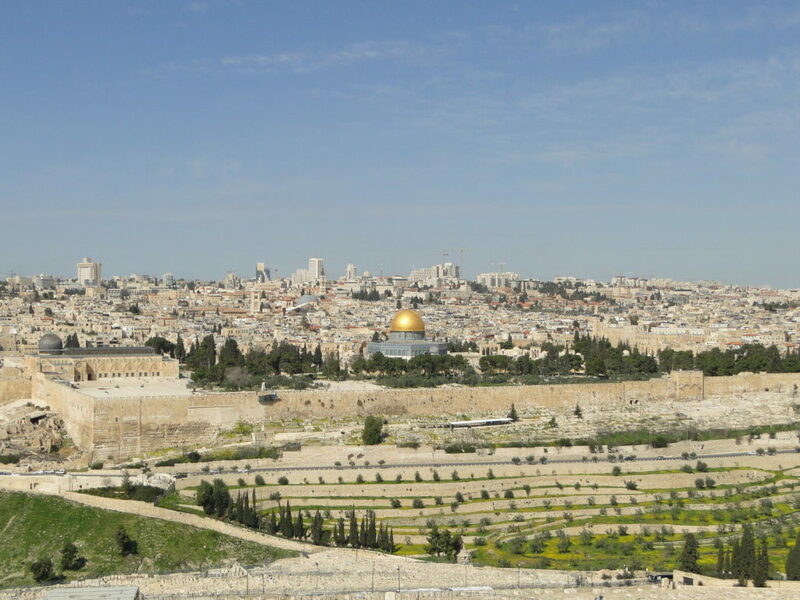 Overlooking the Old City with the iconic golden Dome of the Rock shinning on Temple Mount, offered a stunning view of Old Jerusalem and its surrounding valleys. After getting acquainted with the geography of the city, we continued our trip passing the Garden of Gethsemane and the astonishing 2,000 year old burial tombs in the Kidron Valley, before entering the Old City by the Jaffa Gate. The small square inside the Jaffa Gate which leads to the entrance to the Christian Quarter to the left, the Muslim Quarter straight ahead, and the Armenian Quarter to the right past the Tower of David, was our first stop in the Old City. Just before lunch we toured the Church of the Holy Sepulchre. In the holiest site for Christians, pilgrims line up to touch the Stone of Anointing believed to be the stone where the body of Jesus was prepared for burial by Joseph of Arimathea, to pray at the Altar of Crucifixion, and to contemplate at the Aedicula believed to contain the tomb of Jesus. Because of its importance to Christianity, the Church of the Holy Sepulchre is divided among the Greek Orthodox, Armenian Apostolic, Roman Catholic, and the Ethiopian Orthodox churches. Overwhelming Christian pilgrims from all over the world, the church’s intriguing history and fascinating architecture is certain to dazzles even the most agnostic of its visitors. Next stop was at the Western Wall, or the Wailing Wall as it is also known, we passed through the Muslim Quarter where we had shawarma for lunch on the rooftop of a restaurant overlooking Temple Mount and the Dome of the Rock. 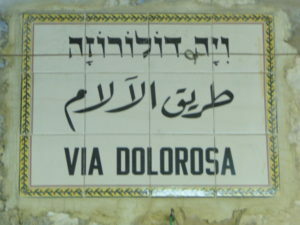 After lunch we continued our tour which included the ‘stations of the Cross’, on the Via Dolorosa. As we arrived at the last station of the Cross, our guide reminded us that we had been walking “not on the steps of Jesus, but at best above where it might have been the Way of the Cross on the day of his crucifixion”. Two thousand years of sediments deposited after a succession of destructions and rebuilding, as excavations show, have long ago buried the 2,000 year old pathways where Jesus once walked. However, such geological reality should not in anyway diminish what current day Old Jerusalem represents. 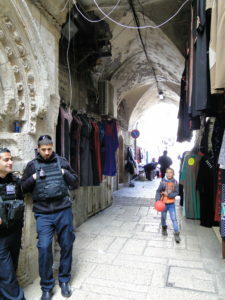 Another important via (street) in the Old City is the Cardo. 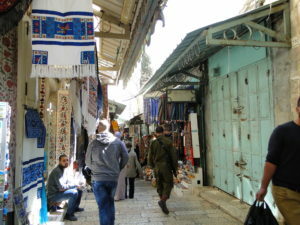 Today, with part of the excavations completed, a section of the Cardo was rebuilt and reactivated with shops and art galleries in the Jewish Quarter. Since part of the Cardo excavations work is still an ongoing project, visitors can see it from a viewing point installed above. The Byzantine Cardo is what Jerusalem’s main street was 1,500 years ago. 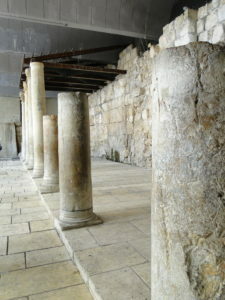 Originally paved when Hadrian rebuilt Jerusalem in the second century, the Cardo was expanded in the sixth century by the Byzantine Emperor Justinian. In its glorious days, the wide colonnaded street ran through the cardo (heart) of the city. 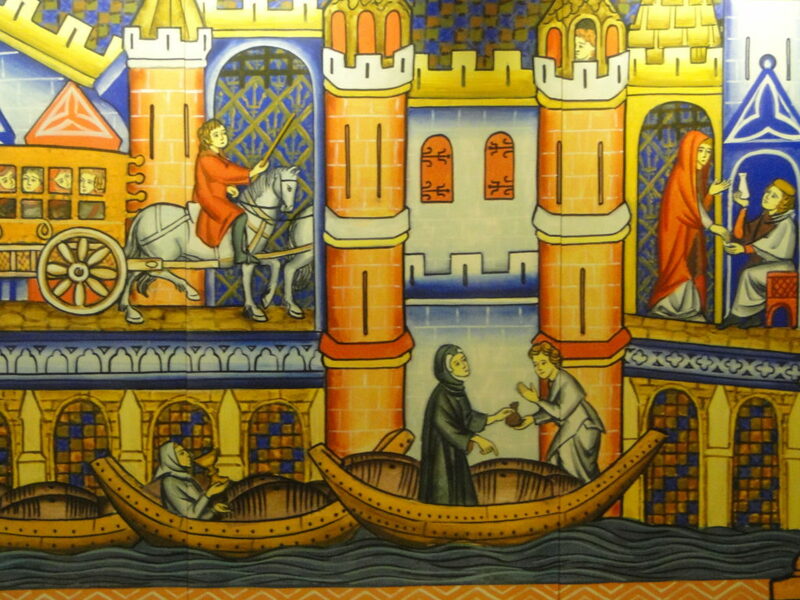 In addition, one can have a good idea about what the heart of Jerusalem looked like in the Byzantine period. 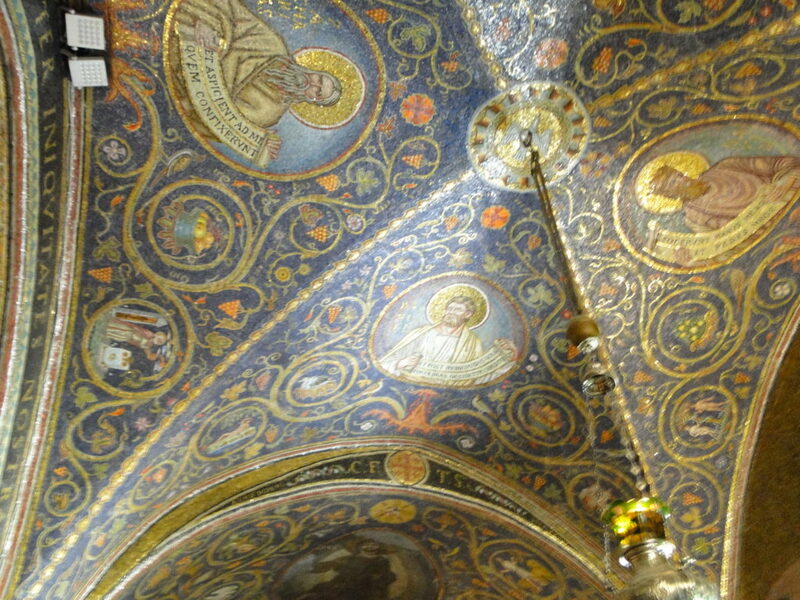 A replica of a mosaic found on the pavement of a Byzantine Church from the sixth century in the town of Madaba, Jordan, is on display in the Cardo. Known as the Madaba map, it depicts what the cardos, a feature in many Roman cities in the Near East looked like. 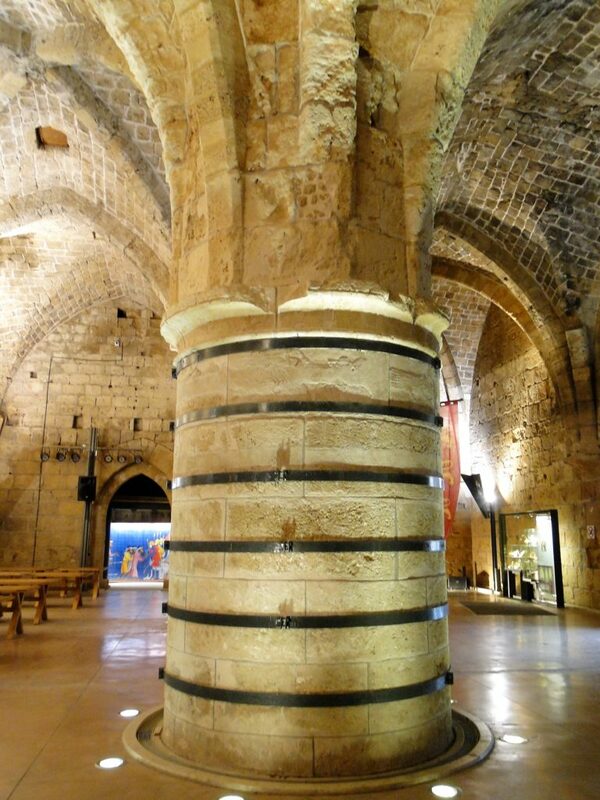 Similarly, the reconstructed Cardo is once again the main attraction in the Jewish Quarter of Jerusalem’s Old City. And not to be missed in the replica of the mosaic portraying the Cardo, on its right lower corner is the representation of a Byzantine girl handing a pomegranate to a twentieth-first century boy. Perhaps, to me this is a statement to how Jerusalem’s present is intrinsically connected to its past. Obviously, contrary to what many wish, its present cannot be separated from its past … not even for a second! Finally, just before leaving the Old City, we visited the holiest place in Judaism commonly known as the Western Wall where Jews are allowed to pray. The Kotel (or, HaKotel) in Hebrew, it is also known as the Wailing Wall, in reference to the practice of Jews weeping at the site of the destruction of the Temples. Built by Herod the Great, it is known as the Western Wall because it was one of the four retaining walls that formed a box-like structure. On top of this rectangular set of retaining walls, Herod built a large esplanade surrounding the Temple. Of all four retaining walls, the Western Wall is considered to be the closest to the Temple, making it the holiest places in Judaism outside the Temple Mount old esplanade itself. However, on our way out of town heading to the Dead Sea, the moment Amir announced that we had arrived in was perhaps one of the most clarifying and entertaining anecdotes of the day. Although I had heard the story a few times before, it was particularly interesting and colorful coming from our guide’s sharpened sense of humor. A relief to know that this is all what hell is about! Or, a disappointment to those expecting a bit more in the after life. Passing through the Valley of Hinnon, Amir suddenly stopped the van, turned to us and said: Welcome to Hell! Surrounding Jerusalem’s Old City including Mount Zion, from the west and the south, the Valley of Hinnon meets and merges with the Kidron Valley. Originating from the Greek word gehenna and from Hebrew geHinnon, the valley is the location where some of the kings of Judah sacrificed their children by fire. A place for those who fell from grace with the kings, in Jewish Rabbinic literature, and Christian and Islamic texts, Gehenna is the destination for the wicked. Literally it means the Valley of the children of Hinnon. After being saved from hell, we continued through the Judean Valley, passing Jericho to the northern coast of the Dead Sea. Now in the desert and closer to the Dead Sea the landscape was no longer green, only dotted with beautiful oasis of date palms. In our journey through the desert we were warned not to drink from the waters of the Dead Sea. Under no circumstances! “One single cup of water from the Dead Sea will kill you!” – our guide repeated several times. 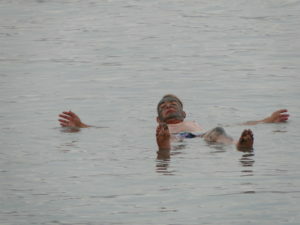 After a couple of hours getting muddy and floating in the mineral rich waters of the Dead Sea we returned to Tel Aviv. It was almost eight in the evening when I was dropped off at the door of my hotel. I would just have enough time to shower and go out to have dinner with a couple of friends. Archaeological evidence shows that the city was already inhabited around the year 7,500 BC. 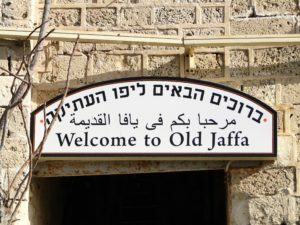 Mythology has that Jaffa, or Yafo, was named after one of Noah’s sons; Japheth. Throughout its history, Jaffa was fought over and conquered by empires, crusaders, and pirates because of its strategic location and harbor. Its harbor has been in use since the Bronze Age, making it one of the oldest in the world. 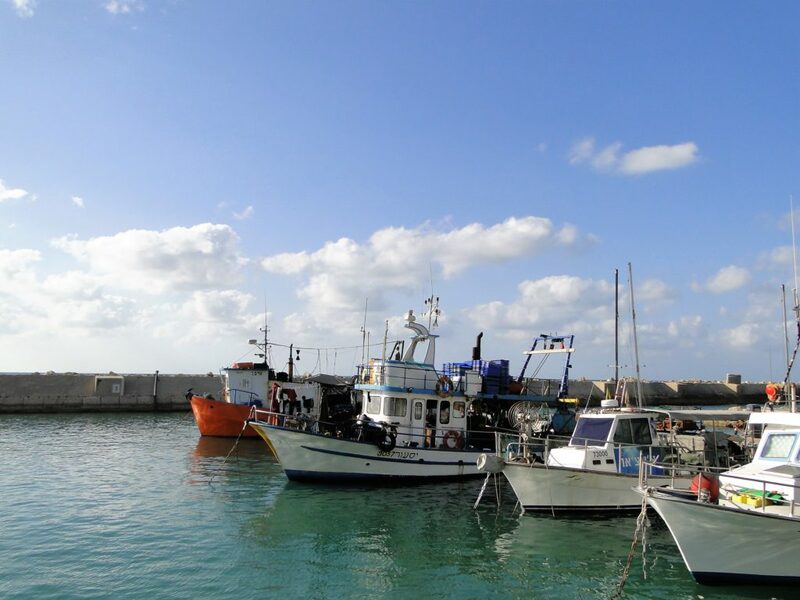 The old port of Jaffa has been in almost continuous operation for the past 4,000 years. That’s where I ended up after a hike on the promenade of Tel-Aviv. Walking from Tel-Aviv to its southern and oldest part of town, provides with a magnificent view of the beach and the Mediterranean Sea and it is not a long walk. The promenade ends at the Old Port of Jaffa where shops and eateries are certain to catch a visitor’s attention at the moment one sets foot at the old harbor. If you are already in Jaffa or chose to take a taxi or drive yourself, there is still plenty of walking to do while visiting the old city. 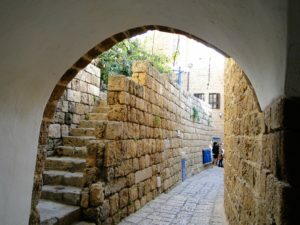 As it is the case with most ancient cities, there are steps that will take you up and down the alleys and labyrinths of Jaffa. Jaffa Port – One of the oldest ports in the world. Although layers upon layers of historical events cover every inch of the city, the landmarks are remarkable testimonies to Israel’s cultural, religious and political identity. Jaffa is greatly significant for Christianity, as it was there that Saint Peter raised Tabitha from the dead according to the Act of the Apostles biblical texts (Acts 9:36-43 and Acts 10:1-4). The Saint Peter’s Church is one of such landmarks built in the Ottoman period in 1654 and dedicated to Saint Peter. Regardless of religious affiliation or faith, the succession of events embodied in the Saint Peter’s Church is certain to fascinate any visitor. Located over a medieval citadel that was built by Frederick I, later restored by Louis IX of France in the thirteenth century, the church was destroyed twice before it was rebuilt from 1888 to 1894. Among other intriguing facts, except for the windows that depict Tabitha, Francis of Assisi, and the Immaculate Conception, all other windows represent Spanish saints because the church was reconstructed by the Spanish Empire. 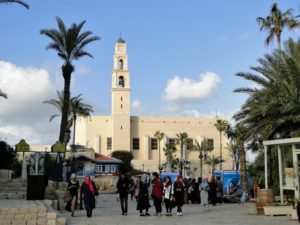 The Mosque of the Sea, or the Al-Bahr Mosque, is said to be probably the oldest mosque in Jaffa. 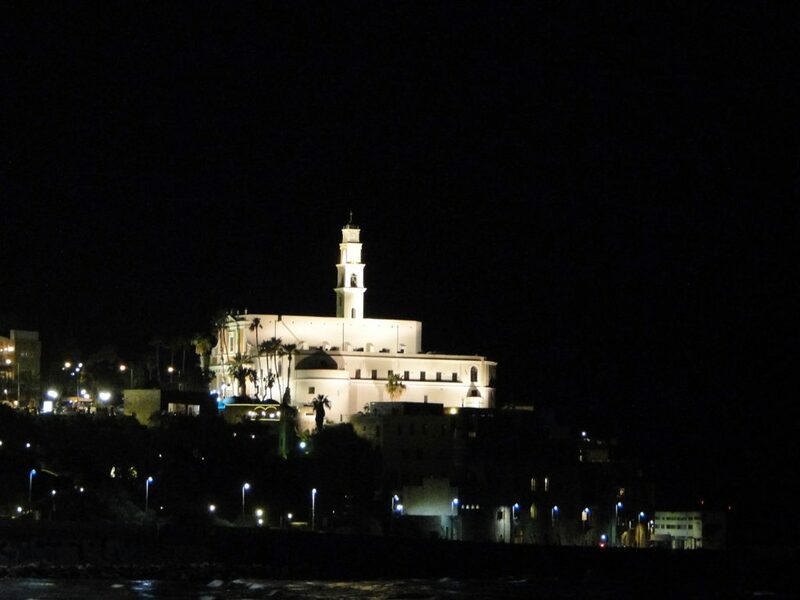 Standing on the shores of the Mediterranean in the Old Port of Jaffa area, its minaret with a green dome gives a peculiar character to the skyline of Jaffa. 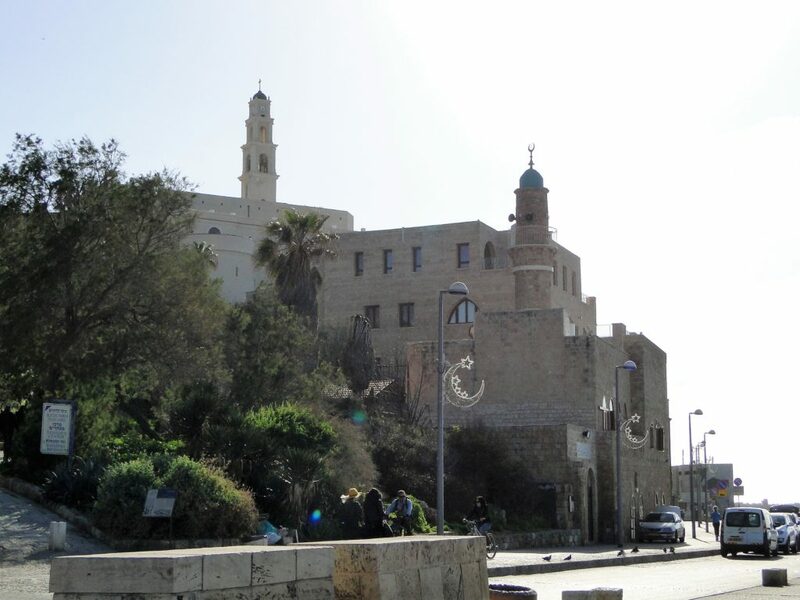 When approaching Jaffa from its northern neighbor, on the promenade of Tel Aviv, the iconic view of the bell tower of the Saint Peter’s Church and the minaret of the Al-Bahr Mosque side by side are reminders of the complexity of history of Jaffa and of Israel. Nonetheless, when you visit Israel the realities of daily coexistence debunks the extraordinary efforts in the media to show only the conflicts of war and disputes. No matter where you go when you visit Israel or how much time you have left in yours hands, visiting the Jaffa Flea Market is a must do. In the Shuk HaPishpishim, as it is called in Hebrew, treasure hunters are certain to find antiques, handmade and secondhand artifacts from everywhere. 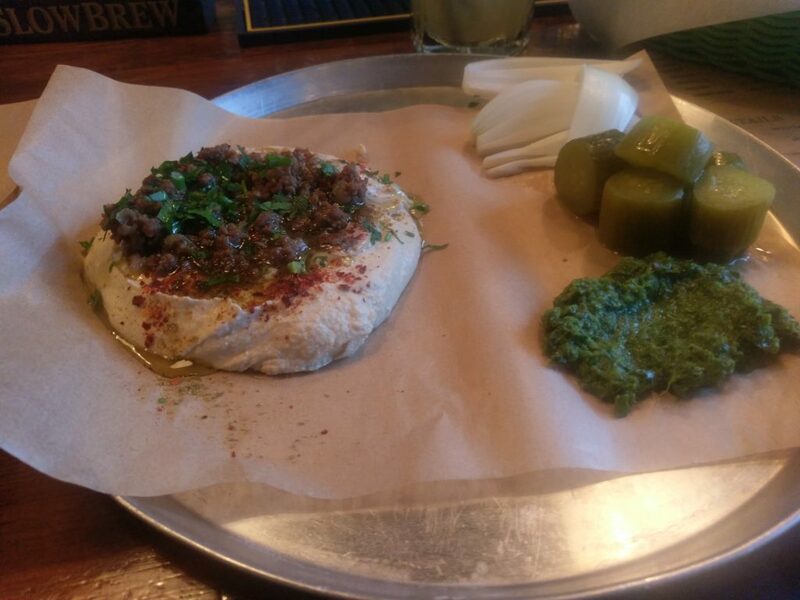 It certainly offers an authentic Middle Eastern market experience. 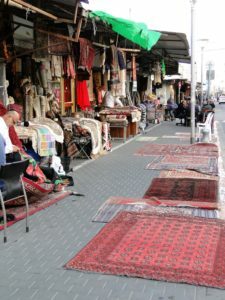 Complete with the haggling, vibrant colors and smells of vegetables, fruits, herbs and spices, the market’s three areas on main street sell antique furniture, carpets and oriental ornaments. 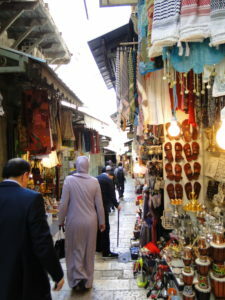 In two long covered alleys, clothing, jewelry and souvenirs complete the scene with a lively and colorful bazaar atmosphere. Every time I visit Israel, I try not to go on organized tours unless it is absolutely necessary or required that I join a tour. Although I suggest them to most people I speak with, I personally prefer spending more time at one location at my leisure. 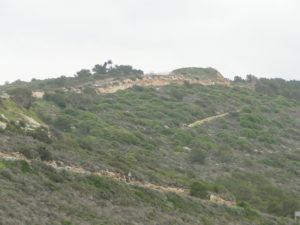 I also enjoy walking, as I love a great hike, and Jaffa offers a fantastic opportunity to do just that. One never knows what lies around the corner! On my last visit, after a couple of hours exploring the flea market, I discovered a café by pure chance. In fact, it was the smell that came from the café that led me inside. Cafes, restaurants, and bars are typically very busy in the evening in and around the shuk area, but as I walked in, except for three or four people sitting at a small table outside by the door, I was the only customer. Main Bazar is located on Olei Zion 7 Alley and it is a pub with a great, laidback atmosphere. Besides the its local feel, what made my day was the food! Simple, original, and superb! The hummus at Main Bazar was probably the best I have ever eaten; even compared to other locations in Israel. Not realizing how generous the size of the portions were, the three items I ordered turned out to be a bit too much and I could not eat even half of the servings. In the end, it was the hummus that vanished from my plate. The surprise came with the check! I could not believe how good the prices were and I probably paid just one-third of what I would have paid in Tel Aviv. By the time I left, the sun had set and the place was then full with locals who seem to know one another and were just ending their day with a happy hour. 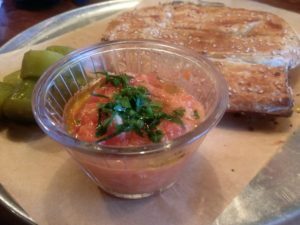 So next time you visit Israel, eat in Jaffa! One of the advantages of traveling alone is that there’s no discussion about where to go, when to go, and when and where to stop. If I see a place that catches my eyes, my attention and my imagination, I simply turn around and go check it out! It’s either a quick stop or a place to stay for a few hours or days. It’s true that in many occasions I think about who I would like to be there sharing that moment with me because I know we would have a great time doing this or that together. One of the conclusions that comes from being on the road is that a place is multidimensional as it is seen in different ways by different people who are at different stages in their own personal voyages. I have got recommendations from people who visited or lived at a certain location, but, as I visited those places, I did not have the same reactions and impressions I was told about. By saying that I do not intend to say it was not as good or bad as described. Rather, seeing and experiencing a place is personal. Traveling north after leaving San Diego, drove through Dana Point, stopping only to get a cappuccino. Finding a place to park proved to be a struggle as the town was a bit “crowded”. My next stop was at Laguna Beach where I parked right in front of Coffee Klatch on South Coast Highway. An inviting, colorfully decorated coffee shop serving great coffee and pastries. After spending about half an hour at the coffee shop, I went for a stroll on the beach. 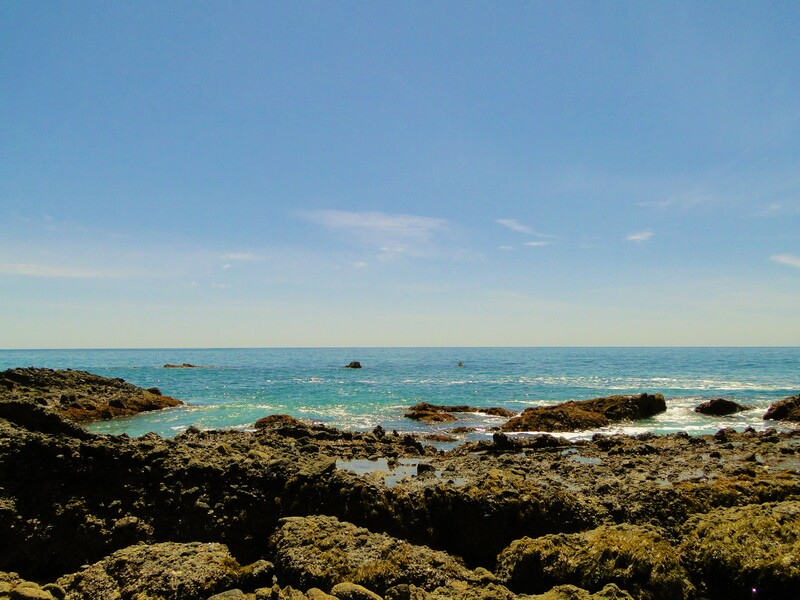 Contrary to Dana Point, Laguna Beach was less crowded. A couple of hours later I was traveling to Malibu where I had planned to find a place for a late lunch. No, I had no place in mind! When I am traveling by myself, unless I am meeting someone, I do an online search when there are just a few or no visible options. Otherwise, I like driving or walking around and let the curb appeal drag me in. Sometimes it is the smell of food, the colors of the walls, or the people who are already there that will make me go in. The deciding factor that will make me ultimately choose the place is how I am greeted by the host or hostess. So, with no plan or place in mind I crossed Malibu south-north on Coast Highway and it was on the north end of town that I found the place I would have lunch and spend another hour relaxing on their little private beach. The Paradise Cove Beach Cafe has character and lives up to its name. Paradise Cove is a stunning area that has been the location for quite a few movies and has a Hawaiian feel. The cafe has indoor and outdoor sittings with some tables on a sanded area. One of the perks is that if you plan on staying up to four hours and eat at the cafe, parking becomes a lot cheaper. Parking fees in the area are steep! The staff was welcoming and friendly and I only had to wait about ten minutes to get a table outside. As I had plans to be in West Hollywood by the end of the day, I chose to eat light, so I had the Paradise Shrimp & Delicious Crab Chop, which turned out to be a huge salad. It was superb! 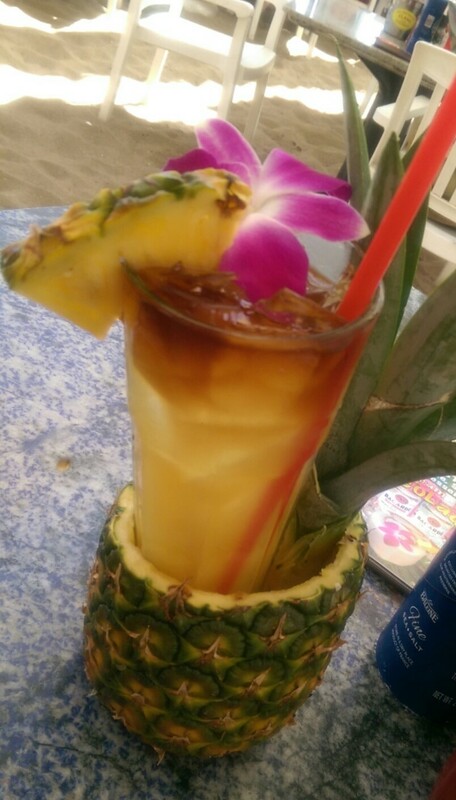 I ordered their Malibu Mai Tai and would have had more than one if I didn’t have to drive because it was just perfect! While I was having lunch I noticed that the restaurant was getting a lot busier with a varied crowd. As I get the check I asked the waiter about sitting outside by the water in their lovely wood chairs. He told me that I could sit there for a couple of hours but there was one rule: I had to open the beer I had ordered myself! Just outside a little gate to the beach there’s a small table with a bottle opener, and that’s where my beer bottle would be waiting for me. After paying the bill and opening the beer bottle I sat in one of the chairs outside basking in the sun for another hour. Earlier that day I had made it a goal to get to West Hollywood and there was one place I had in mind to stop by: The Abbey! Having heard so much about The Abbey, I could not simply drive through the neighborhood and not stop by. Although I kept reminding myself that this trip was about wildlife, camping and hiking and not about cities, I could not resist driving through Sunset Boulevard! Surprisingly, when I set my GPS to take me from Paradise Cove in Malibu to The Abbey in West Hollywood, it told me that it would take almost two hours to get to my destination. Something is wrong, I thought! I reentered the address just to make sure that I hadn’t made a mistake, after all it is only 28 miles. Again it told me that it would take almost two hours! All I could do was trust the GPS as it had never been wrong before and I thought that maybe there was an accident somewhere on the road ahead. No, there was no accident! Just traffic! Two hours later I arrived at The Abbey. It’s beautifully decorated and obviously everything resembles a chapel. However, it was not busy at all. Only a few people in small groups around the bar where I sat and had a couple of beers and some delicious appetizers. It appeared that everyone there knew everyone else. A couple who sat next to me told me that a few hours later the place would be packed! After chatting with a few people who came and went, I realized that The Abbey would be really fun to visit with friends. By the time I finished eating I figured that it was time to get back on the road and a pick a place to spend the night. My next stop was Sequoia and Kings Canyon National Parks, almost four hours drive from The Abbey. That evening I planned to get as close to the park as possible so I could get in early in next morning. The weather was perfect for driving! 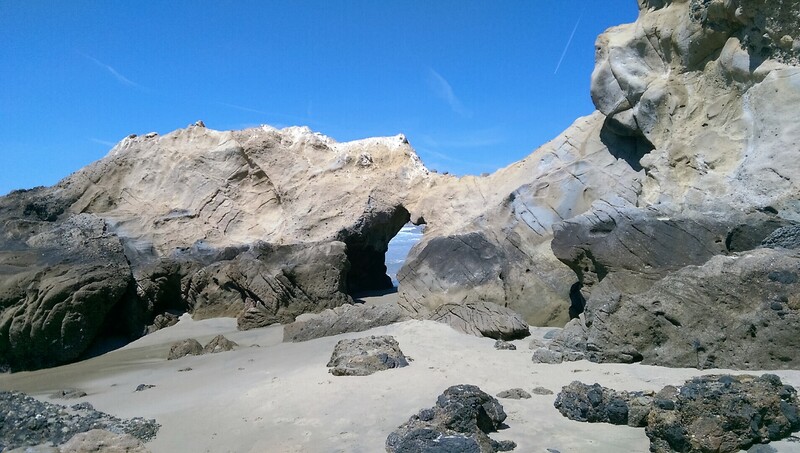 On my second day in San Elijo, after spending most of the day hiking up and down the beach, I left the campground and headed down to San Diego around three o’clock in the afternoon. For about twenty miles I sluggishly inched south, literally! Traffic was moving so slow that it took about one hour to drive just about twenty miles. It’s good when time is not an issue but it’s irritating to witness the frustration and impatience of those who actually have to get somewhere on time. I was in no rush! Wess and Melissa were going to join me in San Diego about four hours later on. I had asked them whereabouts should we meet and Wess suggested a brewery somewhere on Ocean Front Walk, but after reading the reviews and seeing pictures of the place, I thought that the evening called for something different. They were already on the road when I let them know where to find me. This was my last night in the area and the word was to have fun! After all, I would be spending most of the time away from cities and in most of the days ahead of me, I would be hiking and camping in solitude. Stopping in the San Diego area was meant to spend time with old friends; a vacation within the vacation! Fun we had! we had a great time and my friends realized that, in many ways, this was just another bar. Perhaps in a few small details, such as great music and more glitter! I had heard great things about MO’s Bar and Grill on Hillcrest and thought that a relaxed, old-fashioned upbeat gay bar was a better choice for the evening. I had read that this was the happiest place on Hillcrest, possibly in all of San Diego! After reading tens of great reviews and finding out that only one person had negative things to say, I knew this was the right place to bring a hetero couple for their first gay bar experience. YMCA, the song, could be heard from the parking lot as I arrived. The energy in this place was great with a mixed crowd, great music and hysterically funny videos. I was in awe by the vibe of the place for a regular midweek day. Although it was only Tuesday, it felt like a Saturday night elsewhere. 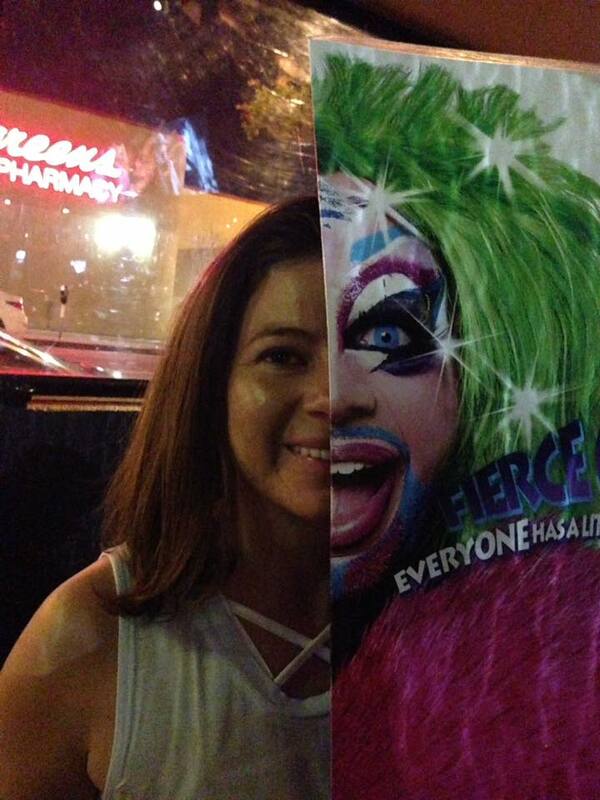 Even the menu cover, which displays the caption “Fierce Gurl! 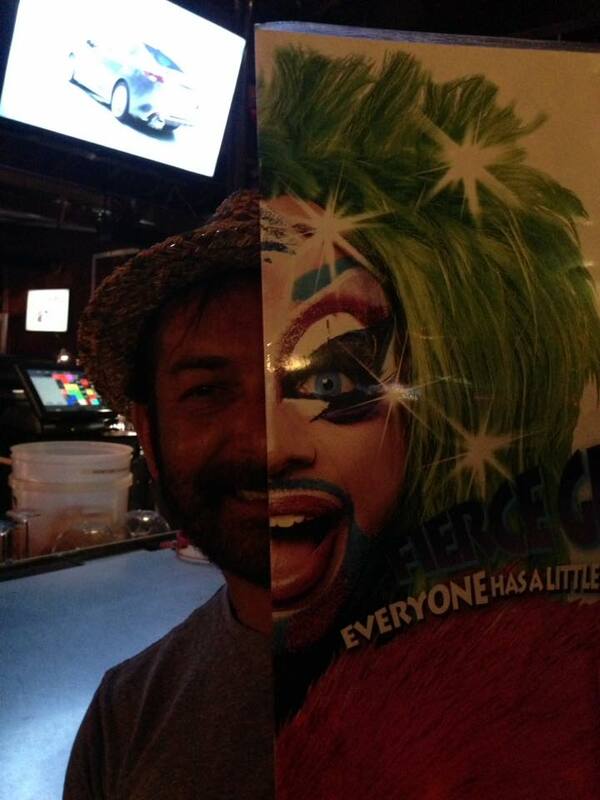 Everyone Has a Little Drag in Them!” was a novelty and became our photo op for the evening. The night had not even quite started when Melissa volunteered to drive my car back to Vista. We all agreed that I should spend the night at their house instead of driving myself to the campground. I was unchained and free to have more than just a couple of drinks. And I guess that whatever happens in San Diego we just leave of the road! The following morning, after a few cups of coffee, I drove north exploring the coast. A friend who had lived in the area suggested that I visited Dana Point and Laguna Beach. My destination was the Yosemite National Park, but I wanted to drive along the coast to Malibu before resetting my GPS to Yosemite. Later that day I found out that the weather wasn’t quite going to be on my side in the mountains. The weather forecast for the Yosemite National Park included heavy snow and rain for the next couple of days. When I called the park’s information line for more details I was advised to check the weather forecast daily because in early Spring the weather there can be unpredictable, leading the roads to be partially or entirely closed. For now I would enjoy the sunshine in the coastline and its beautiful scenery. My next destination, or so I had thought, was the Joshua Tree National Park in southern California. The approximately 560 miles could be covered in about six hours or so depending on how many stops I would make. The problem is that I was late to leave the Grand Canyon and I wouldn’t arrive at the Joshua Tree National Park before six o’clock, lowering my chances to get a camping site that late in the day. I had been on the road for about a couple of hours when I got a phone call from my husband who asked me where I was. As I told him that I was close to the Arizona-Nevada border, he suggested that maybe I should take a detour and go visit our friend Bob in Vegas. It seemed to be a great idea since I wasn’t going to arrive at the Joshua Tree National Park at a convenient hour. I asked him to contact Bob right away as I was quickly approaching the exit to Las Vegas, Nevada and a decision had to be made within the next twenty-five miles. Our friend lives in New Hampshire and has business both in that state and Nevada, often commuting between both states. By the time I reached the exit to Las Vegas I had not heard from either my husband or Bob; I decided to take the exit and head to Las Vegas regardless. I reckoned that if he wasn’t in town or able to host me I would take a hotel for the night. I was just about twenty miles from Las Vegas when I got two text messages: the first one from my husband asking me if I had seen the note from Bob and the second one from Bob to both of us letting us know that he had just landed in Vegas. However, he was letting us know that he had “snapped” his back and was on pain killers and “no good for anything”. My chaperone for the evening was “out of service”. Although I had had no intentions to stop in Vegas during my road trip and had no other reason to go there other than visiting Bob, I was then too far out of my way and it was too late now to turn around. I made a reservation at the MGM Hotel and a few minutes later I checked in to the hotel. It was my break from the road and camping. I am not a gambler and in years past I had been to Las Vegas too many times for conferences and got tired from it. In my opinion Las Vegas is not a place to go by yourself, so this was going to be my downtime, relaxing and letting my body rest from the recent days of hiking. After walking around that evening I realized how exhausted I was, so I decided that it was time to get back to my hotel room and go to sleep. The following morning I woke up feeling very sore and made the decision to stay an extra night in town. I just did not feel like getting back on the road that day. I found out that the hotel was sold out so I had to look for another place to stay that night. Good news! 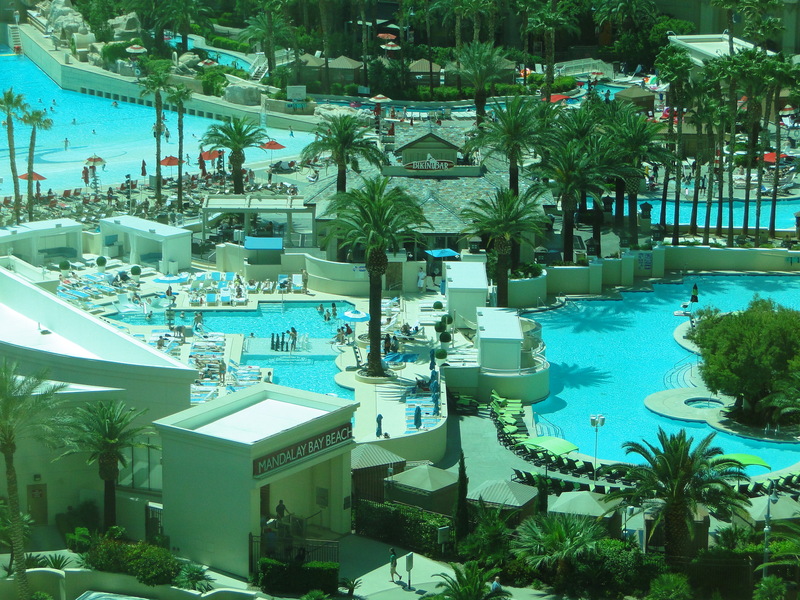 As I looked for a hotel I found out that I had accrued enough points through my Expedia card and I could have a room as a reward night in a few hotels; I chose the Mandalay Bay. Having worked in hospitality for many years, I must admit that the Mandalay Bay wowed me from the moment I walked into the lobby. The check-in was flawless and I even got an upgrade! From the decor of the room and cleanliness to the view and the size of the bathroom, all made me a happy customer. The bed was so comfortable that I just did not want to go anywhere else. I had an early check-in and had plenty of time to check the amenities offered at the hotel. Going to the gym was simply out of the question. With more than seventy miles hiked in the past ten days, sitting by the Beach Mandalay Bay pools seemed like an attractive option. I had read about the “adults only” pool and that’s where I was headed to, but when I asked which direction to go I was told that the adults only pool is not open everyday. To my disappointment it was going to be open the next day after my check-out time. I settled for a spot on the man made beach with its artificial waves. Unfortunately the weather was not cooperating. It was growing increasingly windy and the sun was a bit shy with the temperature barely in the low seventies. However, it was the loud, screaming children who got me out of the beach. I don’t think I had seen that many children in one place since I left kindergarten. 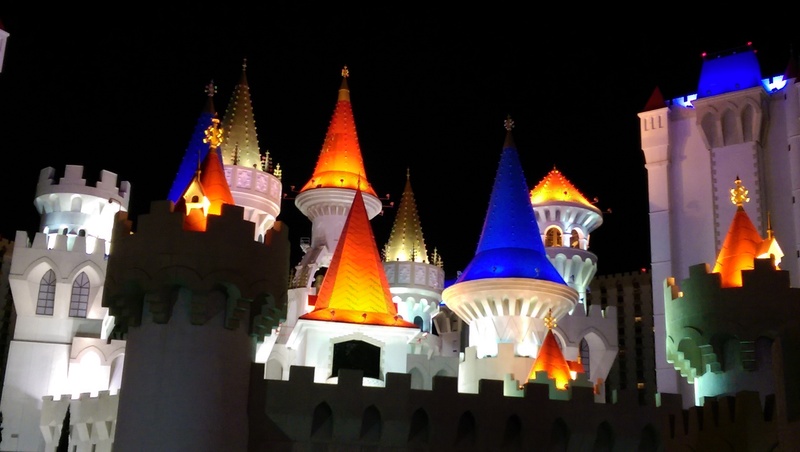 That was a surprise to me as I had never thought of Las Vegas as a children’s retreat! Back in my room it was time to wander around and find a place to eat. An Irish Pub in the hotel’s complex got my attention. It was dark and cozy! After having an amazing burger and a Guinness, knowing that I would not do anything else that evening, I stopped at the casino in the hotel and played in one of the slot machines just to kill some time. While waiting for the elevator going back to my room I reached for my phone to check the time and realized that I had left it at the machine where I had been playing. Turning around I realized how large the room was. I had no idea about which machine or section I had been sitting at. I asked one of the staff who look like undercover security people and she said that it would be really hard to figure it out and asked me to go talk a security person who was nearby. I showed him the cash out receipt that I had printed from the machine which helped him locate the section where I had been playing. As we were walking to the zone the machine was located he received information that someone had just turned in a cellphone to the security desk. It had been found! 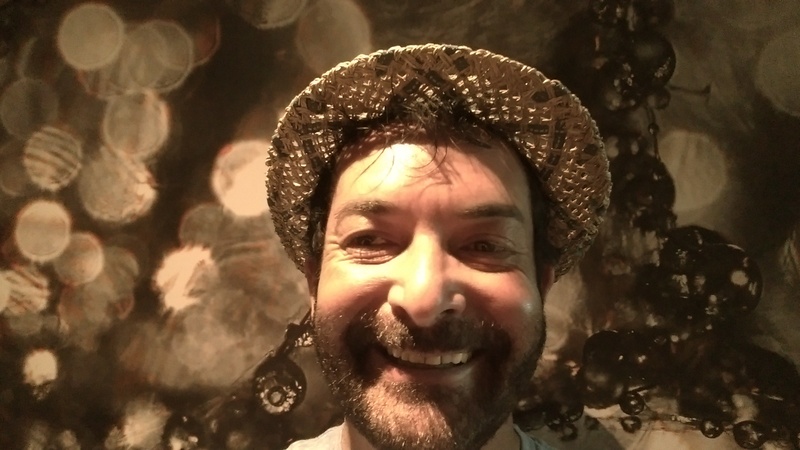 Thrilled with my phone back in my hands I headed to my room trying to not get into any more trouble. Opening the screens on the phone I came across something rather bizarre: the person who found it took a faceless selfie. Did she try to leave me a hint telling me that she had gone through my pictures?! I am just grateful for her having turned it to the security desk regardless of her reasons to leave me a selfie. I was starting to miss camping and sleeping in my tent; it was time to leave Las Vegas! Traveling is more about what happens on the road than it is about reaching the destination. That’s what makes a road trip more exciting to me. It’s what I see and who I meet on the way to a destination that feed my curiosity; becoming a learning experience and a journey of discoveries. A road trip takes away the comfort zone of getting on an airplane, reaching the destination, hopping on a cab, and checking-in to a hotel before visiting a landmark. The morning I started out in Texas on the way to New Mexico, I expected it to be a smooth road trip. According to the GPS, it would take 9 hours and 8 minutes to cover the 582 miles! In a road trip it means that the restroom is not a few feet away from your airplane seat, and you don’t know if the next rest area will actually be open or closed for construction. Confronting the unknown is what drives me to take the road with an open mind. Reaching the destination sometimes becomes an obsession when a hurricane is approaching. Other times, if time is not an issue, reaching the destination becomes secondary because even that destination could change; as it has many times in this road trip. I left Dallas around ten in the morning. It was a beautiful sunny day with clear blue skies. The vibrant yellow and purple colors of Spring peppered the road sides in Texas. All appeared to be going very well until just about an hour on the road I came across the first slowdown caused by road construction. Soon I after that first few miles of one lane slow moving traffic, it did not take long for a second, then a third, and a fourth road construction zone. It did not take long before I stopped counting them. Driving through a mostly unpopulated area I spotted a sign for a rest area. At that point that would have been a much needed stop. Unfortunately, to my dismay when I approached the rest area a sign indicated that it was closed for construction: the next rest area would be eighty miles away! At dusk on the seventh day of April, I was still about three hours from Alamogordo, New Mexico. By then I had seen immense wind farms and smelled the oil horses and the flaring stacks dotting the landscape for miles and miles in Texas and New Mexico. I watched the sun setting in the desert heading west on US-82. The most scenic portion of the road would have been through the Lincoln National Forest, a mountainous area where the 9,260 feet high Alamo Peak stands, if I could have seen it. I was out of luck! I was exhausted and still not a rest area in sight. Besides, I couldn’t see a thing! After sunset the skies became pitch-black and the road went from a straight line in the desert to a meandering path up and down through the mountains. There was no one else on the road but a slow truck which I followed for miles. There is no signage on the roadside that signals an upcoming curve, as it is common in most roads in the mountains elsewhere. After the “leading” truck’s taillights in front of me left the road, I had to rely on the imagery of the GPS to know that I was entering a right or left curve. I knew then that I had no other choice but make it through to the destination, if I only could keep my eyes open! Being so tired by the time I arrived in Alamogordo, I didn’t realize that I had set my GPS to take me to the White Sands National Monument, located 16 miles southwest of Alamogordo. When I realized the mistake I had made, I drove up to the next U-turn on US-70 W to turn around and head back east to find a hotel in town for the night. All of a sudden the speed limit signs became more and more frequent, dropping the speed limit all the way down to 10 MPH. And the surprise! I had come to a border patrol check point. I got so confused because I knew that Alamogordo was over 80 miles north of the Mexican border, but being tired and having had no service when I was driving through the mountains a couple of hours earlier, I thought I might have been rerouted. A border patrol officer approached my window inquiring about my citizenship and immigration status and asked for my immigration papers. It never occurred to me that I would need them since I was travelling within the continental United States’ borders. I told him that they were in a briefcase in the trunk of the car. He said that it was okay and he did not have to see them. I asked him just out of curiosity, if I had crossed into Mexico? “No”, he replied. I was happy to know that I was not lost, but his answer further confused me. As I was checking-in to the hotel, I asked the front desk agent why did they have a border patrol check point there since it is located miles away from the border? He explained to me that there are several of those check points in New Mexico and Arizona that he knew of. He went on to explain that the reason is because of drug-trafficking by the Mexican cartels. He continued on explaining the geography of the area and problem of drugs coming from Ciudad Juarez in Mexico through Las Cruces in New Mexico. I had never been on a road trip in the Southwest before; although it was a travel destination in more than one occasion in the past. The difference is that I had flown when I visited a few times before. If I flew in again this time, I probably would not have seen all the police activity on the streets of Alamogordo. Was it being a drug trafficking hot spot the reason why there was no one else driving on the roads after sunset? 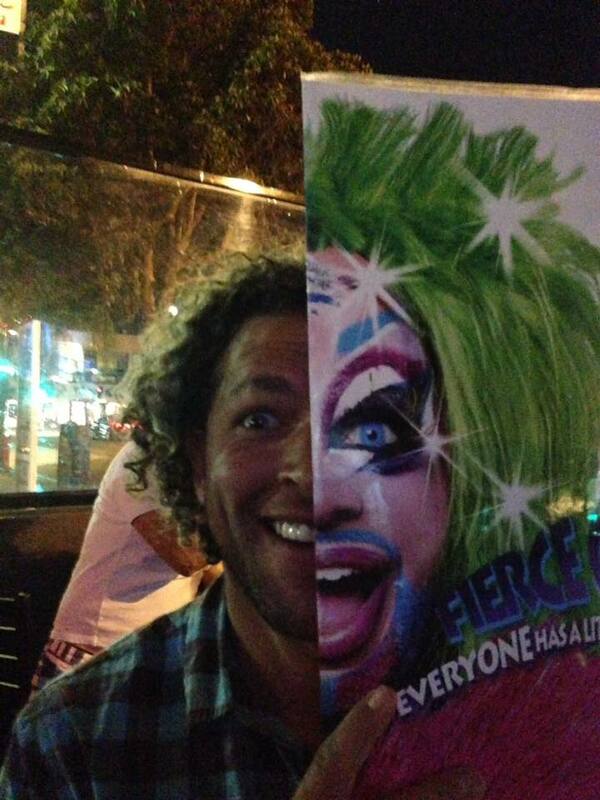 Or, was it just a coincidence? Perhaps no one will answer that question, but I know that whenever traveling near the border in the Southwest in the future, I probably will stick to driving during the day. What I imagined to be a long, boring drive from Dallas, Texas to Alamogordo, New Mexico, turned out to be about an eleven hours adrenaline filled journey. I had enough for one day and it was time to rest for the night. By now I had been on the road for ten days and a few friends started to notice that I had been to a few places and traveled through six states. That’s when the questions started to come in. They began to ask me about where was I going? Is this a vacation? Are you on the road by yourself? And that’s when I started to analyse their reactions and curiosity. By having to answer their questions, I had to think about it myself. Didn’t I have a plan? Of course I did! My plan was not to be tied to a schedule or a set in stone route, and to keep my mind open to changes that would have to be made due to weather, peoples’ recommendations, destinations being closed, liking or disliking a location, and the list goes on and on. In the past I had been on other road trips which had a starting and an ending day. That was not the case with this one! I had the time and I had no commitment whatsoever. Some of the changes that I listed had already taken place more than once. Remember the tornado that got on my way in the first week? The sites in Arkansas and Texas that I visited after hearing about them from people I met on the road? And here I was on the road heading to New Mexico to visit the White Sand National Monument, a site that according to my tentative route I should have visited at least five days earlier. The day before, when I left Palo Duro State Park, I took a long detour. Better yet! 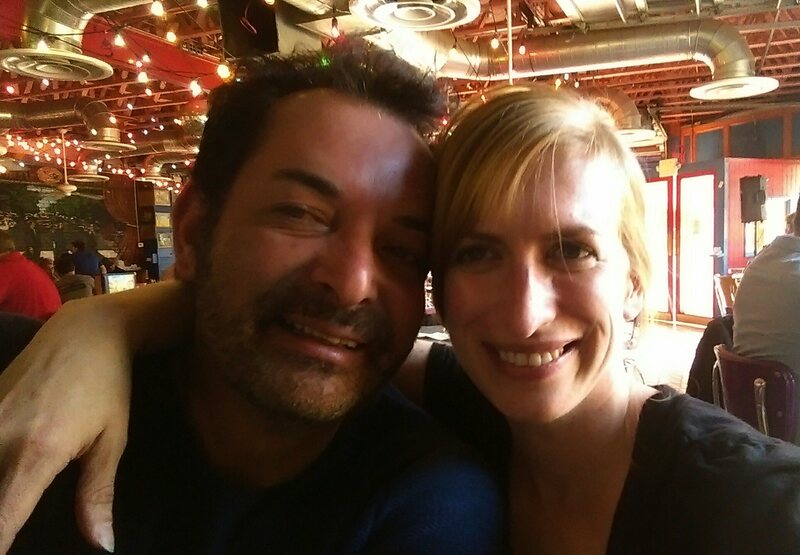 I drove back southeast to Dallas to visit a dear friend who had gone to school in New York where we had worked together and became friends. We had not seen each in years. When I contacted her I told her that I had to stop by and give her a hug. I arrived in Dallas early in the evening and we went straight to a place nearby in the neighborhood for food and a drink. I would have had more than a beer if I knew that I was not getting back on the road that evening. We just had too much to catch up. Although we had not seen each other for over a decade, it was just like it was yesterday that our lives took us on different directions. I was at last laughing with my pretty. smart and funny Priscilla. At this point in the trip I knew that there were friends around the country who I would visit. And this is the fun part about being on a road trip; you don’t have reservations and schedules to make in time. On the other hand, it is difficult to handle availability for camping because there is a great chance that when arriving at a location the campgrounds is full. Although I left home with a list of National Parks, I did not make reservations for camping because I had no idea which day I would be arriving at those locations. Priscilla invited me to stay overnight and the next morning after doing laundry for the first time on the trip, I left to Alamogordo, New Mexico. According to my GPS, I would arrive there at 9:33 that night. Knowing that to cover the 598 miles ahead of me would require a few stops, I estimated that I would arrive around eleven. However, not long after I left Dallas, I started to run into road construction detours and hold ups. This would be my longest driving time in one day since I left home ten days earlier. If I got tired I would simply pull into a rest area and continue whenever I felt rested; or so I thought! The perks of a solo road trip include listening to whatever music genre you want and the luxury of free time to think. Yes, plenty of sing-along too! I realized that some of my Facebook friends had been following my postings and it had spiked their curiosity about what I was doing and why I was doing it? First, I had to answer it to myself. The answer was quite simple: I had always wanted to go on a long, unrestricted road trip and the timing couldn’t be better. I had not been working since January and with my husband’s new job relocation requirement, there was no reason for me to even look for a new job where we currently lived. More importantly, after having worked in hospitality management for over a decade having had only three vacations, I needed a break! All my blood had been sucked and I needed to refuel. Add to that the fact that I didn’t think I wanted to go back to work in the same capacity. Right after loosing my job I got a few phone calls and offers which I declined. Even if I were inclined to remain in the same industry, I could not accept a management position knowing that I would have to resign just four or six months later to relocate. The more the days went by, the more I realized that this was my chance to stop, take the time and think about quality of life versus being consumed in a job or career that no longer brought me satisfaction. I love travelling and I can’t be in an industry or job where I can only have three short vacations in a decade. To summarize my state of mind I could simply quote Farrah Gray: “Build your own dreams, or someone else will hire you to build theirs.” It was time to follow my dreams. In the meantime, I was stuck in traffic waiting for the “flagger” to let us get through one more road construction in Texas.